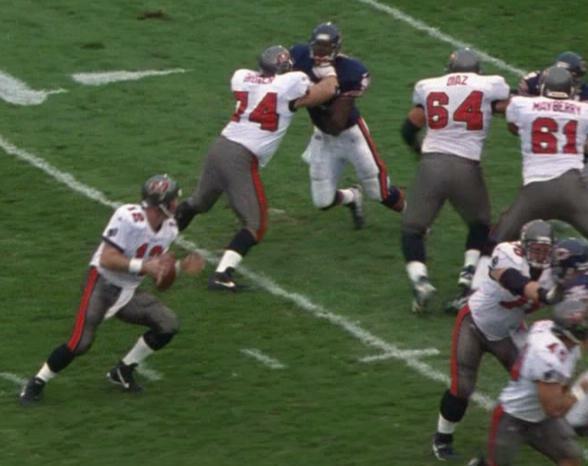 BUCS: Dunn 22-62, Alstott 14-43, Emanuel 1-11, Dilfer 2-(-2). BEARS: Allen 7-31, Bennett 10-14, Chancey 2-9, Moreno 4-9, Conway 1-6. BEARS: Moreno 41-18-153-0-1, Horan 1-1-18-0-1. 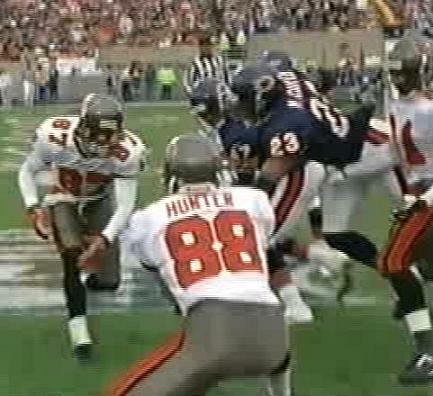 BUCS: Anthony 4-47, Emanuel 3-21, Moore 2-28, Alstott 2-1, Hunter 1-45, Dunn 1-11. BEARS: Engram 4-33, Hallock 4-26, Conway 3-37, Wetnight 2-24, Mayes 2-23, Bennett 2-20, Robinson 1-5, Allen 1-3. BEARS: Milburn 4-79, Wetnight 1-0. BUCS: Green 4-36, Barber 1-23. 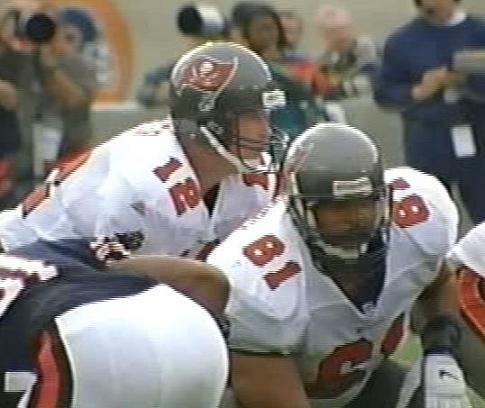 BUCS: Sapp 1-9, Quarles 1-7. They had to win to keep their slim post-season hopes alive and for the first time in nine years, the Bucs left Soldier Field with a win. Brice Hunter caught the only TD pass of his career on a Hail Mary pass as the first half expired. 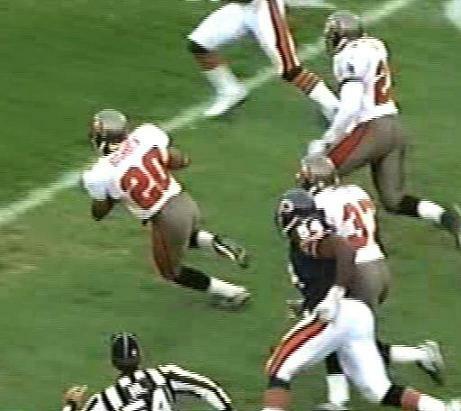 "Call it what you want" said Warren Sapp." But I call it a win and we've got that good feeling back."